Keith Moxey (Argentina, 1943), is Ann Whitney Olin Professor of Art History at Barnard College and Columbia University. He is the author of books on the history and philosophy of art history, as well as on sixteenth century painting in Antwerp and the production of popular prints in the context of the German Reformation. 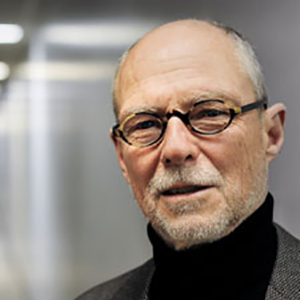 His publications include The Practice of Persuasion: Politics and Paradox in Art History (2001); The Practice of Theory: Poststructuralism, Cultural Politics and Art History (1994); Peasants, Warriors, and Wives: Popular Imagery in the Reformation (1989); and Pieter Aertsen, Joachim Beuckelaer, and the Rise of Secular Painting in the Context of the Reformation (1977). He is also the co-editor of several anthologies: Art History, Aesthetics, Visual Culture (2002), The Subjects of Art History: Historical Objects in Contemporary Perspective (1998), Visual Culture: Images and Interpretations (1994), Visual Theory: Painting and Interpretation (1991).